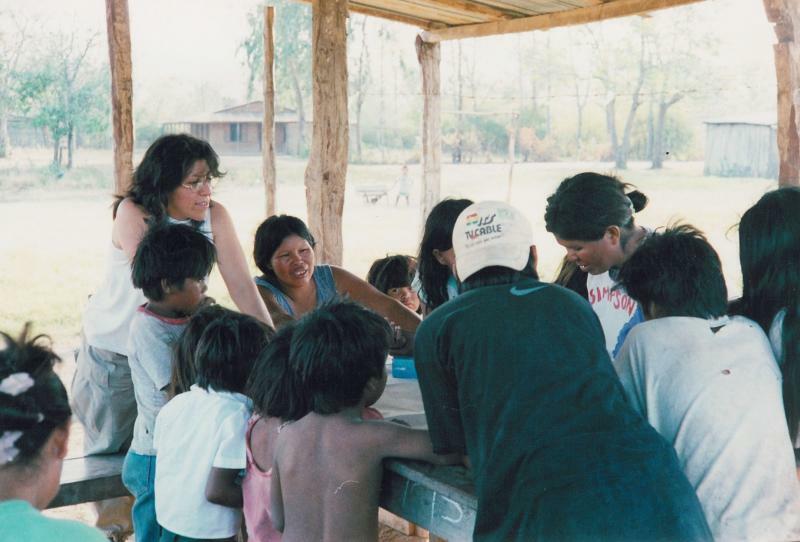 The indigenous Ayoreo community of Puesto Paz is situated in the state of Santa Cruz, Bolivia. This area was once heavily forested but in recent years has undergone an agricultural boom, based on commercial soy bean farming. The city of Santa Cruz had just 30,000 inhabitants 40 years ago, but is now home to over 1 million people. The Ayoreo have only recently adopted permanent settlements after centuries of wandering in large, clan controlled territories in eastern lowland Bolivia. The last 30 years have been difficult for the Ayoreo, but the past 10 have been devastating. Their environment has been ploughed up and turned into fields of sunflowers, cotton and soy beans. 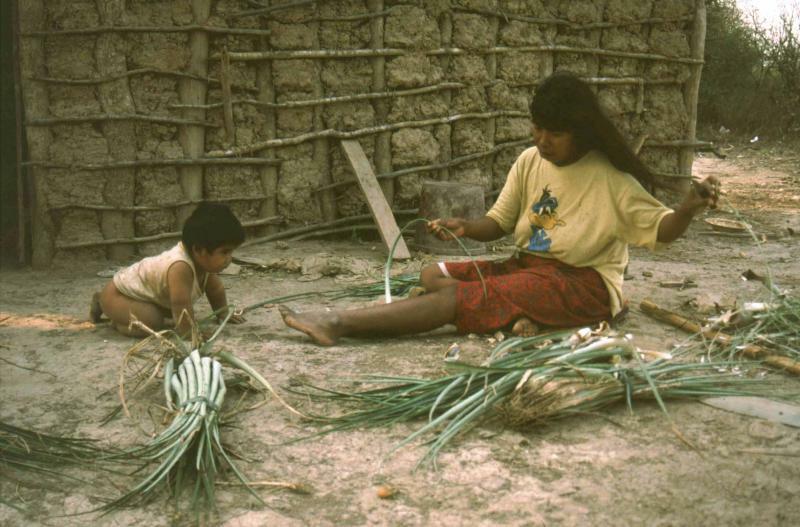 The Ayoreo community is highly traditional in its organisation and has had a difficult history of relationships with “outsiders”. The Ayoreo who protect the last fragment of the Chiquitano-Chaqueno forest are among the most vulnerable and marginalized ethnic groups in Bolivia. The Ayoreo are by nature argumentative and mistrustful and most development projects sent to help them adjust have failed. It is fundamental to the Ayoreo community that they control their own development whilst maintaining their cultural identity which is under threat from pressure of the surrounding Western society. Inés Hinojosa is a botanist specialising in plants where there is extensive traditional knowledge about their properties. Having devoted much time to building a relationship with the Ayoreo, she has designed a community development project with the people of Puesto Paz. 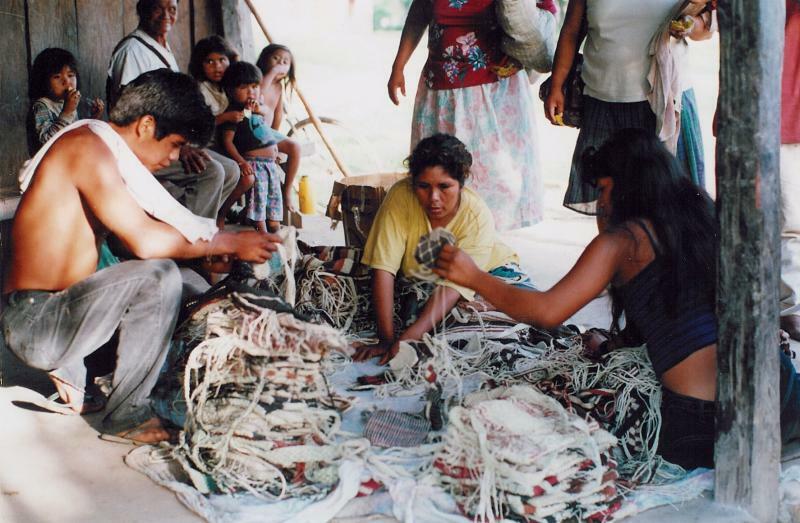 About 40% of the community’s total income is generated by a women’s weaving cooperative. 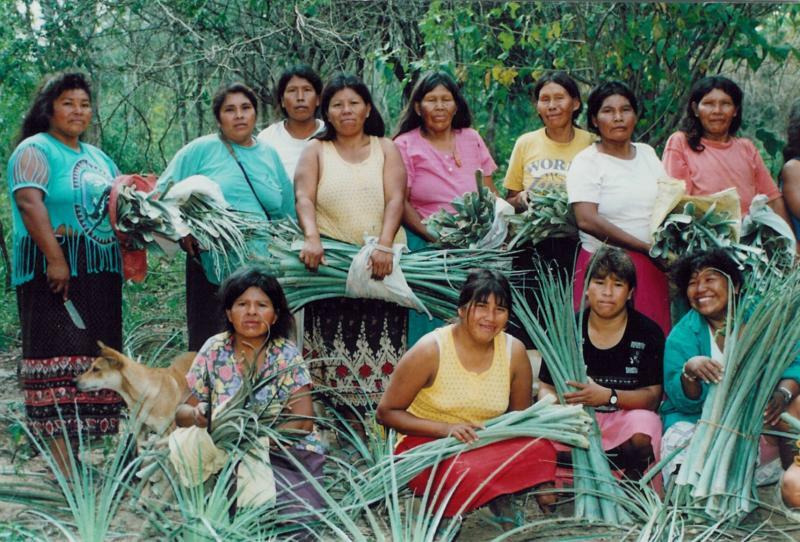 Inés helped them to cultivate the raw materials for the baskets rather than gathering wild plants. This has been so successful that the Ayoreos of Puesto Paz are now exporting their seed plants to other Ayoreo communities to start them also growing their own rather than collecting them. Inés has also assisted them in growing a range of vegetable dye species. Very importantly she has helped the weavers to market their own bags instead of selling them to a middleman. The cooperative, Cheque Oitedie (Women Weavers) now attends international craft fairs and exports their products to several countries. Inés wants to develop these innovations further, while helping the Ayoreo maintain their cultural identity.